One of the main symptoms of Alzheimer's disease is short-term memory loss - this makes it incredibly hard for patients to remember the conversations they have with close family and friends. We decided to build MemoBox, a memory assistance tool for patients with Alzheimer's. 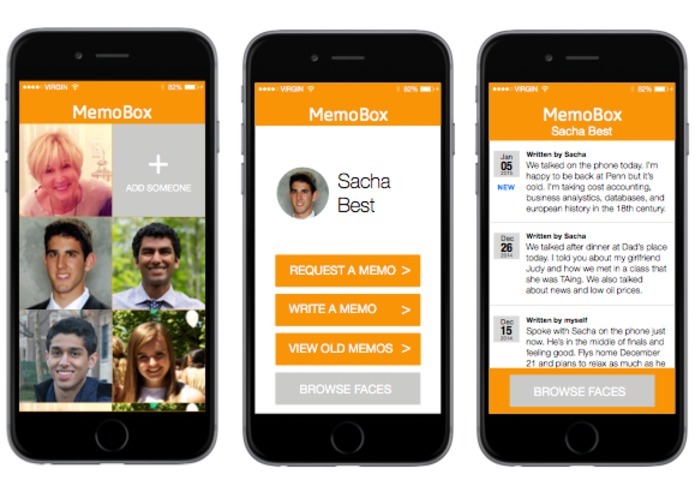 MemoBox allows patients to request brief memos about recent conversations from loved ones, who can respond via text message. Our goal was to make it as intuitive and friendly to use, check out the video for a demo!